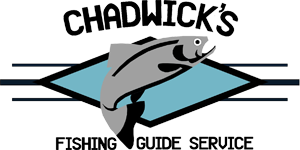 Well, simply put we work HARD doing what we LOVE to give you the best experience Soldotna fishing guides can. When not with clients we are out running up and down the rivers ourselves working to stay on top of the best bite possible. Some charters keep their boats docked in one location all summer. We take a more mobile approach which allows us to follow the fish as they migrate up the river. For you- the client this means more time fishing where the fish are, and less wasted time searching for the next bite. We fish out of very stable, custom built 20′ willie drift and power boats with comfortable seating and plenty of room. We fish with only the best gear. If we wouldn’t use it ourselves you won’t find it on our boat. All our gear is well kept, high quality G-loomis and Shimano rods and reels. Our passion is fishing, and nothing makes us happier than sharing that passion with our customers, and helping them hook into a nice, chrome salmon or a beautiful Kenai River rainbow. I look forwards to fishing with you. Don’t forget your fishing license, king stamp(only if targeting kings), sunglasses, rain gear, appropriate clothes, food, drinks, camera. and a cooler if possible to transport your fish fillets. The weather in Alaska can change at any time so come prepared! It is best to take a layering approach so you can shed layers as the day warms up. I will provide all the fishing gear, waders, tackle, gas and bait you will need. Let me know ahead of time if there is anything you need or don’t have so I can do my best to accommodate for it. There is no need to worry about filleting your catch at the end of the day as I will clean and bag your catch for you. Please see the “Fishing” section of this webpage for more info on our trips and what they entail. Want to book the boat exclusively just for you or your group? Our book the boat rates are as follows for up to 4 passengers. Prices are subject to a 3% or 6% Borough tax fee depending on launch location. For the do-it-yourself types we offer rod rentals. so you can explore the Kenai peninsula on your own. Our rentals are 8’6″ medium weight spinning rods spooled with fresh 20 lb monofilament line. They are ideal rods for both casting for cohos and sockeye fishing. Tackle kits are available for an additional fee. Upon reservation we require a 50% deposit on all trips with the rest of the balance due before trip departure. In case of emergency orders that are out of our control restricting or limiting fishing for king salmon and falling within the 30 day cancellation period we will target other species such as sockeye salmon or trout. Any trips canceled more than 30 days before the trip date will get a full refund of their deposit. Any trips canceled less than 30 days of the trip date will owe the full deposit, unless we can fill the seats.